عثمان یکم یا عثمان بن أرطغرل بن سلیمان شاه معروف به عثمان غازی یا عثمان بی رهبر ترکان عثمانی و بنیانگذار امپراتوری عثمانی بود. امپراتوری عثمانی با نام رسمی دَوْلَتِ عَلِیّهٔ عُثمَانِیه یک قدرت سیاسی و امپراتوری مسلمان بود که از ۱۲۹۹ تا ۱۹۲۲ میلادی (حدود ۶ قرن یا ششصد سال) در منطقهٔ مدیترانه حکومت می‌کرد. عبدالمجید دوم آخرین خلیفه عثمانی بود که در ۳ مارس ۱۹۲۴ طی تصمیم مجلس عنوان خلیفه از وی سلب شد و امپراتوری عثمانی منحل شد. تا زمان مرگش سلطنت کرد. Father of Osman Ghazi و the elected leader of the Kayı clan of the Oghuz tribe. Elected by the Beys و Ghazis of the قایی as chief in succession to his father Ertuğrul Ghazi، و invested as Prince (Amir) by علاءالدین کی‌قباد سوم، سلطان The Anatolian Seljuq Sultanate of Rûm. Became an independent sovereign on the collapse of the سلجوقیان روم در ۲۷ ژوئیه ۱۲۹۹. در ۲۷ ژوئیه ۱۲۹۹, اعلام استقلال از سلجوقیان روم. در میدان نبرد کوزوو در ۱۵ ژوئن ۱۳۸۹ کشته شد. در ۸ مارس ۱۴۰۳ در اسارت در آق‌شهر درگذشت. Abdicated of his own free will in favour of his son محمد دوم. در ۲۶ مه ۱۵۱۲ در نزدیکی Didymoteicho درگذشت. Deposed due to his non-syndromic mental retardation in favour of his young nephew عثمان دوم. Murdered در ۲۰ مه 1622 by the Grand Vizier Kara Davud Paşa (Black Da'ud Pasha) from compression of his testicles. به بهانه عقب‌ماندگی ذهنی اش عزل شد و تا زمان مرگش در ۲۰ ژانویه ۱۶۳۹ در استانبول محبوس بود. در ۱۸ اوت ۱۶۴۸ در استانبول خفه شد at the behest of the Grand Vizier Mevlevî Mehmed Paşa (Sofu Mehmed Pasha). در ۶ ژانویه ۱۶۹۳ در ادرنه درگذشت. در ۸ ژانویه ۱۷۰۴ در استانبول درگذشت. در ۱ ژوئیه ۱۷۳۶ درگذشت. در ۲۸ ژوئیه ۱۸۰۸ در استانبول ترور شد at the behest of فهرست سلاطین امپراتوری عثمانی مصطفی چهارم. در ۱۷ نوامبر ۱۸۰۸ در استانبول اعدام شد by order of فهرست سلاطین امپراتوری عثمانی محمود دوم. پنج روز بعد وی را مرده یافتند (خودکشی یا قتل). دستور به اقامت در کاخ چراغان جایی که او در ۲۹ اوت ۱۹۰۴ درگذشت. پسر عبدالمجید یکم و تیره-مژگان اوجونچو کادین افندی؛ و سپس پسرخوانده رحیمه پرستو والده سلطان (مادرخوانده عبدالحمید دوم). Confined to Beylerbeyi Palace جایی که او در ۱۰ فوریه ۱۹۱۸ درگذشت. به عنوان دست‌نشانده Mehmed Talât، اسماعیل انور، و Ahmed Cemal (Djemal) Pashas تا زمان مرگش سلطنت کرد. در ۱۶ مه ۱۹۲۶ در سانرمو، ایتالیا در تبعید درگذشت. در ۲۳ اوت ۱۹۴۴ در پاریس، فرانسه درگذشت. 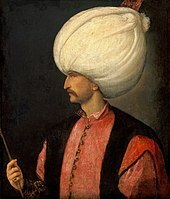 ↑ ۱٫۰ ۱٫۱ "Sultan Osman Gazi". Republic of Turkey Ministry of Culture و Tourism. Retrieved 2009-02-06. ↑ "Sultan Orhan Gazi". Republic of Turkey Ministry of Culture و Tourism. Retrieved 2009-02-06. ↑ "Sultan Murad Hüdavendigar Han". Republic of Turkey Ministry of Culture و Tourism. Retrieved 2009-02-06. ↑ "Sultan Yıldırım Beyezid Han". Republic of Turkey Ministry of Culture و Tourism. Retrieved 2009-02-06. ↑ "Sultan Mehmed Çelebi Han". Republic of Turkey Ministry of Culture و Tourism. Retrieved 2009-02-06. ↑ ۶٫۰ ۶٫۱ "Sultan II. Murad Han". Republic of Turkey Ministry of Culture و Tourism. Retrieved 2009-02-06. ↑ ۷٫۰ ۷٫۱ "Chronology: Sultan II. Murad Han". Republic of Turkey Ministry of Culture و Tourism. Retrieved 2009-04-07. ↑ "Fatih Sultan Mehmed Han". Republic of Turkey Ministry of Culture و Tourism. Retrieved 2009-02-06. ↑ "Chronology: Fatih Sultan Mehmed Han". Republic of Turkey Ministry of Culture و Tourism. Retrieved 2010-07-15. ↑ "Sultan II. Bayezid Han". Republic of Turkey Ministry of Culture و Tourism. Retrieved 2009-02-06. ↑ "Yavuz Sultan Selim Han". Republic of Turkey Ministry of Culture و Tourism. Retrieved 2009-02-06. ↑ "Kanuni Sultan Süleyman Han". Republic of Turkey Ministry of Culture و Tourism. Retrieved 2009-02-06. ↑ "Sultan II. Selim Han". Republic of Turkey Ministry of Culture و Tourism. Retrieved 2009-02-06. ↑ "Sultan III. Murad Han". Republic of Turkey Ministry of Culture و Tourism. Retrieved 2009-02-06. ↑ "Sultan III. Mehmed Han". Republic of Turkey Ministry of Culture و Tourism. Retrieved 2009-02-06. ↑ "Sultan I. Ahmed". Republic of Turkey Ministry of Culture و Tourism. Retrieved 2009-02-06. ↑ ۱۸٫۰ ۱۸٫۱ "Sultan I. Mustafa". Republic of Turkey Ministry of Culture و Tourism. Retrieved 2009-02-06. ↑ "Sultan II. Osman Han". Republic of Turkey Ministry of Culture و Tourism. Retrieved 2009-02-06. ↑ "Sultan IV. Murad Han". Republic of Turkey Ministry of Culture و Tourism. Retrieved 2009-02-06. ↑ "Sultan İbrahim Han". Republic of Turkey Ministry of Culture و Tourism. Retrieved 2009-02-06. ↑ "Sultan IV. Mehmed". Republic of Turkey Ministry of Culture و Tourism. Retrieved 2009-02-06. ↑ "Sultan II. Süleyman Han". Republic of Turkey Ministry of Culture و Tourism. Retrieved 2009-02-06. ↑ "Sultan II. Ahmed Han". Republic of Turkey Ministry of Culture و Tourism. Retrieved 2009-02-06. ↑ "Sultan II. Mustafa Han". Republic of Turkey Ministry of Culture و Tourism. Retrieved 2009-02-06. ↑ "Sultan III. Ahmed Han". Republic of Turkey Ministry of Culture و Tourism. Retrieved 2009-02-06. ↑ "Sultan I. Mahmud Han". Republic of Turkey Ministry of Culture و Tourism. Retrieved 2009-02-06. ↑ "Sultan III. Osman Han". Republic of Turkey Ministry of Culture و Tourism. Retrieved 2009-02-06. ↑ "Sultan III. Mustafa Han". Republic of Turkey Ministry of Culture و Tourism. Retrieved 2009-02-06. ↑ "Sultan I. Abdülhamit Han". Republic of Turkey Ministry of Culture و Tourism. Retrieved 2009-02-06. ↑ "Sultan III. Selim Han". Republic of Turkey Ministry of Culture و Tourism. Retrieved 2009-02-06. ↑ "Sultan IV. Mustafa Han". Republic of Turkey Ministry of Culture و Tourism. Retrieved 2009-02-06. ↑ "Sultan II. Mahmud Han". Republic of Turkey Ministry of Culture و Tourism. Retrieved 2009-02-06. ↑ "Sultan Abdülmecid Han". Republic of Turkey Ministry of Culture و Tourism. Retrieved 2009-02-06. ↑ "Sultan Abdülaziz Han". Republic of Turkey Ministry of Culture و Tourism. Retrieved 2009-02-06. ↑ "Sultan V. Murad Han". Republic of Turkey Ministry of Culture و Tourism. Retrieved 2009-02-06. ↑ "Sultan II. Abdülhamid Han". Republic of Turkey Ministry of Culture و Tourism. Retrieved 2009-02-06. ↑ "Sultan V. Mehmed Reşad Han". Republic of Turkey Ministry of Culture و Tourism. Retrieved 2009-02-06. ↑ "Sultan VI. Mehmed Vahdettin Han". Republic of Turkey Ministry of Culture و Tourism. Retrieved 2009-02-06. مشارکت‌کنندگان ویکی‌پدیا. «List of sultans of the Ottoman Empire». در دانشنامهٔ ویکی‌پدیای انگلیسی، بازبینی‌شده در ۳ ژوئیه ۲۰۱۴. این صفحه آخرین‌بار در ‏۱۰ آوریل ۲۰۱۸ ساعت ‏۰۹:۳۹ ویرایش شده‌است.